A blog about everything to do with Magic the Gathering from Sunny Singapore - from simply playing to card alters! Round 1 saw me stalled on a single land for 5 turns...despite pulling into 2 champions of the parish. Wasn't long before I was simply crushed by the zombies. Round 2 saw a singular fiendslayer paladin take the game, riding on 2 slayer strongholds! Round 3 saw the arrival of blood baron...and without any real sort of answer, my early pressure slowly dissipated and fizzed. Round 1: turn 2 terminus, turn 4 verdict into aetherling. Round 2: curve into sublime - game. Round 3: a series of azorius charms, celestrial flare, verdict and aetherling ended the game. Round 1: between thragtusk, advent of the wurm and intangible virtue..i was given the smack down! Round 2: curve into silverblade and win! Round 3: collective blessing resolves with a whole load of spirit tokens, VOR and thragtusk on board. To sum it up, I had really horrid match ups today. Blood baron is something my deck cannot deal with at all cost ....and the same can really be said of aetherling. The sideboard tech of burning earth also pales when the meta decides to avoid going the tri-colours route. This has really prompted me to consider these two cards. In addition...I appeared to land flood at times..perhaps cutting 24 lands might be the proper call? Time to return to the drawing block! At the end of the day...my reports are to aid in my development as a competitive player. While the match-ups were fierce...I personally felt that I was relying too much on a sb plan B of burning earth to overwhelm my opponents. The meta in Sun Island was fundamentally very different to that in Gameshaven...and I ultimately didn't prepare myself. In addition, my inability to read decks that I hadn't come across cost me dearly...and U/W control returns to give me nightmares! RD1-G1 = Why did you keep with one land? I don't recommend ever doing that with this deck since most of the cards in the main are 3 drops. Remember there are a lot of lands, but as Craig mentions, the stronghold should be treated like a spell. RD2 = Burning Earth is only going to be effective against opponents that are using 3 or more colors. It was not a good decision to side in against this deck. RD3 = I played this deck as well, and it can definitely be a difficult match up, especially if they get a fair amount of Lingering Souls. It puts a clock on the game. You need the full suit of Banisher Priests and Fiend Hunters for this one. They will aid in keeping the token under control. 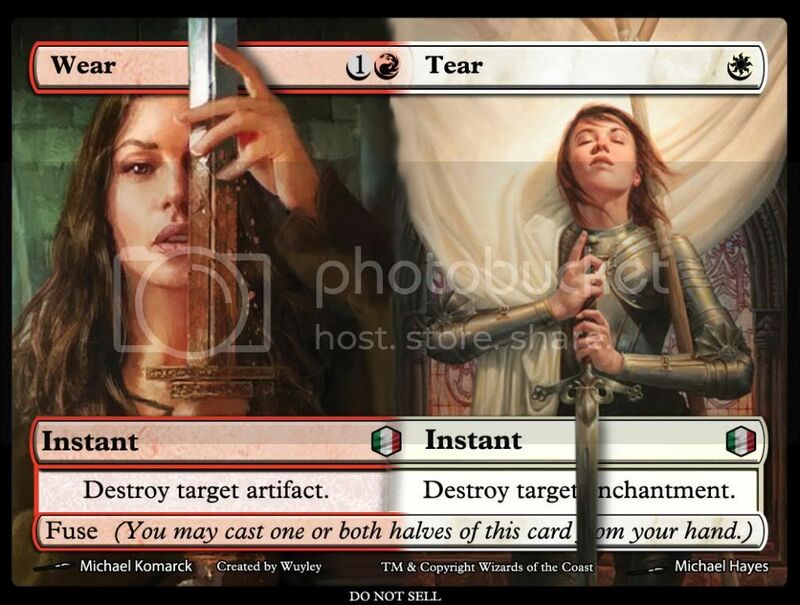 Wear and Tear is just flat out a worse card than Oblivion Ring. All 3 of the cards you list as being problematic can be handled with Oblivion Ring. Oblivion Ring also would have been handy in your match ups with Junk Tokens too. Good points! Perhaps oring is a better choice. Will need to test it a little! Though aetherling still looks like an issue. and you are right...I need to have more playtime with this deck! Thanks for the constructive comments! Just realised that baron evades oring too! This is true. But your issues really stem from the fact that you aren't finishing the opponents off prior to the turns where these creatures become available to them. (Although Celestial Purge may be a required Sideboard Card for Blood Baron). 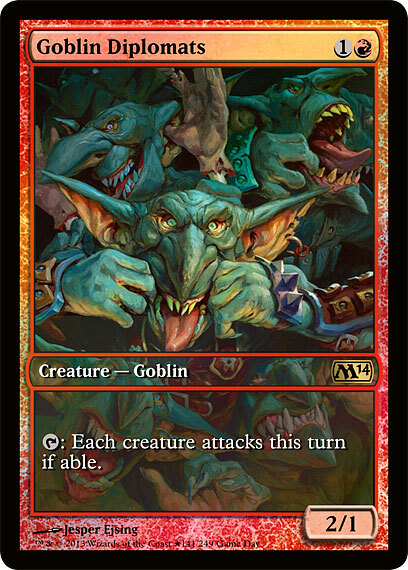 The deck is really great because of how it morphs based upon your opponents. You can be fast when you need to be (against control decks). You just need to learn the tempo and the cards. What I find to be most difficult with the deck is learning how much pressure is the right amount. You don't want to over commit and not have creatures in the Mid to late game. Also, I suggested O Ring based upon the 3 cards you were expecting to deal with. It should be noted O Ring takes care of all of the threats that you mentioned + most other creatures. Please feel free to share your opinions..I greatly appreciate them! Return to Magic! Boros Champs!